Day 2 of celebrating our fourth anniversary, and I represent our 9th most popular blog post. I was very surprised to see this get so many views, and I hope it's because of the show itself and not readers confusion with the Marvel movies. It's also nice that this being one of our more popular posts, it is also a more recent post, having been written on January 1, 2013, just as we were celebrating our 2 year anniversary. Though not a horror series, the Avengers get a few crossover references in my upcoming book, the Horror Crossover Encyclopedia, on sale...SOON! Hi. 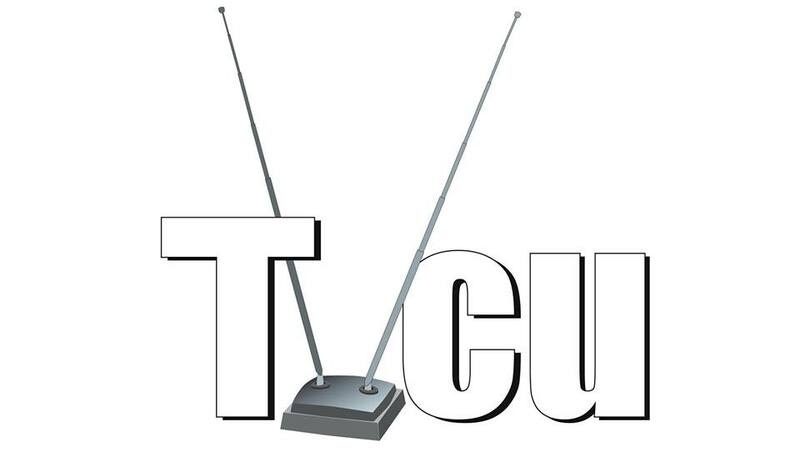 So, welcome to the TVCU 2013. A few things. I' m writing a book, sort of a spin-off of this blog called the Horror Crossover Universe. So I'm spending less time here. But I will be posting new material, and James has some stuff in the works as well. Some of the blogs will have major revisions, while others just need to have some new material added to it. The Crossovers Forum is no longer the best place to discuss this blog, as I'm not there as much anymore. I've created a new forum just for this blog, which can be found here. I know my last blog said my next one would be about Scrooge, but that one will be coming later on down the road. Sorry if you were looking forward to it. I've been writing this blog for two years now. January 10 will be the blog's 2nd anniversary. I've covered lots of ground and lots of varied material, and along the way, I've had some help from James, Gordon, and Brad to expand the universe. I'd love some feedback from readers of this blog on what shows and film series you'd love to see covered here in 2013. You can leave your comments in the section below this blog, or in the forum I provide the link for above. 1934--JOHN STEED: AN AUTHORIZED BIOGRAPHY, VOLUME 1: JEALOUS IN HONOUR--While in school, Steed is bullied constantly by James Bond, his classmate. 1960--THE AVENGERS--Agent John Steed begins working with Dr. David Keel and The Avengers are formed. Over the years, Steed will work with Cathy Gale, Emma Peel, and Tara King, as well as Mike Gambit and Purdey (The New Avengers). 1961--THE AVENGERS--With Dr David Keel (Ian Hendry). 1962–64--THE AVENGERS--With Venus Smith (Julie Stevens) and Cathy Gale (Honor Blackman). 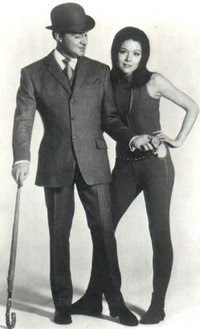 1965--THE AVENGERS (FILM)--Emma Peel becomes Steed's newest partner. This film "remake" actually works well as a "prequel" instead. 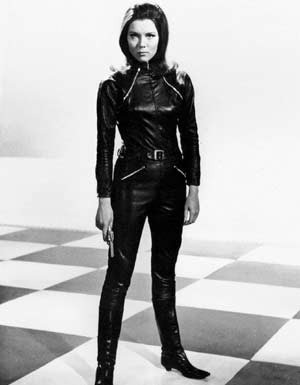 1965–68--THE AVENGERS--With Emma Peel (Diana Rigg). 1966 to 1969--THE AVENGERS--The ongoing adventures of some super cool spies. February 1968--THE MAN FROM U.N.C.L.E.--"The Power Cube Affair"--Solo and Kuryakin of U.N.C.L.E. meet Charles, the former head of the AVENGERS. July 16 - 19, 1969--SUBTERRANEAN “MOON MOON MOON” (NOVELLA BY KIM NEWMAN)--Was there some sort of occult connection to the Apollo 11 moon landing? Richard Jeperson of the Diogenes Club will work with the FBI’s Unnameables Section to find out. 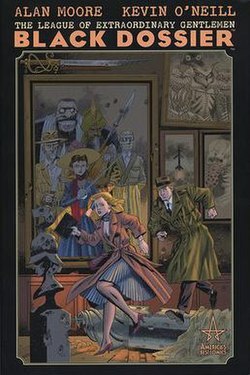 The Diogenes Club originates from Arthur Conan Doyle’s Sherlock Holmes, but has more recently had a “spin-off” series created by Kim Newman. One member of the club is the Bishop of Brichester. Brichester is from Ramsey Campbell’s continuation of the Cthulhu Mythos. Kate Reed is another member of the club. She was a character who was created by Bram Stoker for Dracula but her scene was later removed before publication. Edwin Winthrop and Genevieve Dieudonne are also members. Reed, Winthrop and Dieudonne all appeared in Newman’s Anno Dracula series, which is an alternate universe where the timeline diverged during the events of Dracula. The Anno Dracula Universe must be a divergent timeline of the Television Crossover Universe, and these three appearing in this story are the counterparts of this main TVCU timeline. The Department of Queer Complaints is mentioned, which is from the series of the same name by Carter Dickson. 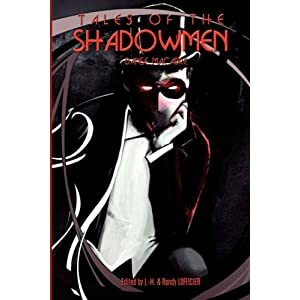 Besides the Diogenes Club and the members who have counterparts in the Anno Dracula Universe, there are several other crossovers scattered within the story that connect this story to other Newman stories, which is typical of a Newman story. One character in the story is referred to as the “girl from A.U.N.T.I.E”, which at the very least is meant to be a sarcastic reference to the agency U.N.C.L.E. and the the spin-off of the Man from U.N.C.L.E. called The Girl from U.N.C.L.E. Additionally,there was an episode of the Avengers entitled The Girl from A.U.N.T.I.E. where A.U.N.T.I.E. was meant to actually be U.N.C.L.E. but changed to avoid real world copyright infringement. Thus, in this story, A.U.N.T.I.E. may actually mean U.N.C.L.E. as a nod to the Avengers. During the tale, Cavorite is mentioned as a possible alternative to rocketry for visiting the moon, a reference that makes the events of H.G. Wells’ The First Men in the Moon as real for the Television Crossover Universe. A magic portal to the moon is compared to other real portals to Wonderland and Narnia. That would mean that the Earth events of Alice in Wonderland and the Chronicles of Narnia were the Earth of the Television Crossover Universe, and Wonderland and Narnia are magical pocket dimensions connection to the TVCU. Also mentioned are Count Cagliostro and Cordwainer Bird, who are not counted as crossovers. Both are fictionalized versions of real persons. Of course, Cagliostro is a vampire in the TVCU. Bird is the alias used by author Harlan Ellison. March 14, 1974 - November 9, 1989--HE EUGENICS WARS: THE RISE AND FALL OF KHAN NOONIEN SINGH, VOLUME ONE (NOVEL BY GREG COX)--Gary Seven is a human agent of aliens with an interest in protecting Earth from itself and Roberta Lincoln is his human assistant. A secret project has been created to engineer supermen. One particular product, Khan Noonien Singh, rises above the rest, and makes an attempt at world conquest. 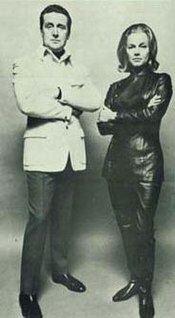 Gary Seven and Khan were both introduced in separate episodes of Star Trek, both having originated in the 20th century. Gary Seven’s appearance was meant to be a pilot for his own series which sadly never came to be. Khan was said to have conquered a quarter of the planet by the 1990s in the Eugenics Wars, an event that eventually of course never came to pass in the real world, so this is a wonderful story reconciling how it could have still happened without drastically altering the real world timeline from Star Trek’s history of our time period. In the story, Roberta refers to an encounter with robot housewives in Connecticut, a reference to the events of the Stepford Wives. One of the workers at the Eugenics Project is a sallow bug-eyed man called Mr. Eyegor. This is the same Igor (pronounced Eyegor) from Young Frankenstein. Another worker is Maggie Erickson, engaged to a man named Walsh. Which means eventually she would take his name and become Maggie Walsh. In Buffy the Vampire Slayer, Maggie Walsh is the head of a project that creates super soldiers to capture demons, which she uses to create her ultimate super-soldier, Adam. There is also a reference to Frankenstein, as in the original version. Other crossovers in the book include: Avengers (TV), Six Million Dollar Man; The Pretender; Beauty and the Beast (80s TV); Bionic Woman; Star Trek: The Next Generation; Modesty Blaise; Knight Rider; The Equalizer. One final issue to bring up is regarding future stories. There are several stories linked to the Television Crossover Universe that take place in the future. Star Trek and Alien are both in. Plus, there are plenty of others. But ST and Alien are the main two. And they are both pretty different in portraying how events of the future unfold. (Most of the other stories can easily fit in one of those main two timelines). I like to think of a timeline as one in which at any point, there is always a now. Looking backwards, there’s only one history. But looking forward, there is an infinite number of possibilities and thus an infinite number of future timelines, all that branch off of the present day Television Crossover Universe. 1978--THE NEW AVENGERS--More adventures of those super cool spies. 1983--THE MAN FROM U.N.C.L.E.--"The Fifteen Years Later Affair"--Sir John Raleigh, the new head of U.N.C.L.E. 's New York headquarters, bears an uncanny resemblance to John Steed of The Avengers. James Bond also appears, meeting with Solo. January 1989--ACTION COMICS WEEKLY # 636--In DC Comics Université Notre Dame des Ombres (French: Our Lady of the Shadows University) is a special university in France which was attended by the Crimson Fox twins and Dee Tyler (Phantom Lady). Sandra Knight, the original Phantom Lady, became the dean of this School in her later years. She may have been an 'old girl' herself, as was the English girl Emma Knight, daughter of Sir John Knight, who went on to become an agent herself in the 1960s as Mrs. Emma Peel (see Action Comics Weekly #636). Records of other graduates are still classified as "Top Secret", but given the school's location and 200 year history, it is possible that other female spies may well have passed through the doors of this fabled institution, including such as agents known under the code names of Sandra of the Secret Service, Mademoiselle Marie and Madame Zero. Obviously, given the nature of these ladies' line of work, any form of verification is impossible. Action Comics Weekly #641 reveals that the future Diana Tyler, mother of the second Phantom Lady, was connected to the college until the mid 1960's, although she may well have been a tutor rather than a trainee agent. 1996--DUKE NUKEM 3D--Seen in a locker room is Steed's classic umbrella and bowler hat, along with his name, J. Steed. 2269 A.D.--ASSIGNMENT: ETERNITY (NOVEL BY GREG COX)--Gary Seven and his partner Roberta Lincoln travel from the year 1969 to the 23rd century and once more encounter the crew of the Enterprise, commanded by Captain James T. Kirk. This novel is a sequel to the Star Trek episode Assignment Earth, which introduced Gary Seven in what was meant to be a pilot for his own series. Gary and his assistant mention having knowledge of the people or events from all of the following crosses. Crosses: Kolchak the Night Stalker; The Avengers (television); The Girl from U.N.C.L.E. ; The Questor Tapes; Mission Impossible; James Bond; The Prisoner; The Andromeda Strain. **Incidentally, those other Avengers will be covered later this year when I expand the Hulk blog to an Avengers blog. 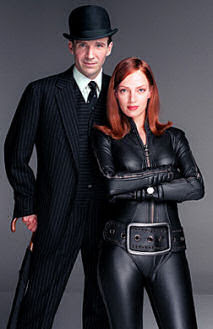 So Spy Game connects The Avengers, Mission: Impossible and The Man and The Girl from UNCLE and possibly I Spy.